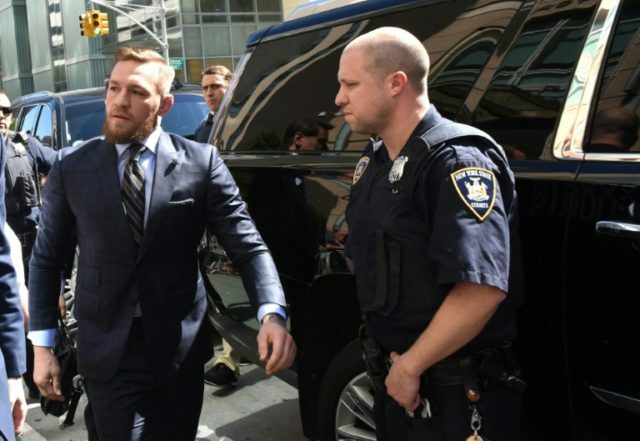 New York (AFP) – Irish mixed martial arts superstar Conor McGregor made a brief court appearance on Thursday stemming from his role in a loading dock melee and later expressed “regret” for his actions. McGregor, 29, has been charged with multiple counts of assault and criminal mischief after attacking a bus filled with UFC fighters at the Barclays Center in April. McGregor’s attorneys and prosecutors are discussing a plea deal and a Brooklyn Criminal Court gave them more time on Thursday to work out an arrangement. McGregor was ordered back in court on July 26. The MMA star apologized in a statement following the court appearance, which lasted just a couple of minutes. McGregor then left in a black SUV. 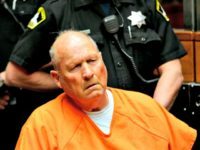 McGregor faces up to seven years in prison if convicted on all counts but he is not expected to receive such a severe sentence. McGregor was released on $50,000 bail following his arrest over the frenzied attack on a bus of rival fighters that injured two athletes. The Irishman pocketed around $100 million for the superfight he lost in August in Las Vegas against ex-welterweight champion Floyd Mayweather.